The team covers how this powerful yet efficient AI computer is used, and discuss the deep the learning ecosystem built around Jetson, with examples from diverse industries. The Jetson System includes NVIDIA JetPack and DeepStream SDKs along with advanced software libraries such as CUDA, cuDNN, and TensorRT to help you rapidly develop AI ‘Edge Inferencing’ solutions. about the new Jetson Xavier™ Development Kit, with 20x the AI performance of today’s system! Webinar access will be emailed to you. Richard manages EMEA Marketing for the Embedded NVIDIA ‘Jetson’ Processor Family. 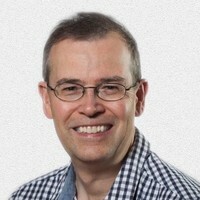 Starting his career as a University Lecturer in Computer Graphics systems, he now has over 25 years’ experience working with developers of 3D Graphics, Cloud Software and AI Hardware Technology, including Microsoft and of course NVIDIA. Vincent graduated from “Ecole Centrale de Lyon” in France in 1995, and started his career at HP in Grenoble in 1996. He moved over to NVIDIA in 2002, and in his current Embedded role, he advises customers on Jetson technical solutions. Supporting NVIDIA’s focus on Deep Learning and AI, he is also a DLI Certified Instructor for the Fundamentals of Computer vision.